Thanks to Rob Clarke for these great pictures of a working 232, aka "32K TED". This would have been based on the standard PCB layouts and then modified by Okubo-san's team in Tokyo. There were MANY members of the TED family almost as if Commodore was in search of itself and what would sell... this had been the Jack Tramiel era and was now the "post Jack" times. It's been said that US offices didn't know what the Japan offices were doing but during this time it wasn't true, I was kept up-to-date and helped them fix a CAS glitch in the bank selection. Attempted repair by unauthorized persons voids warranty. 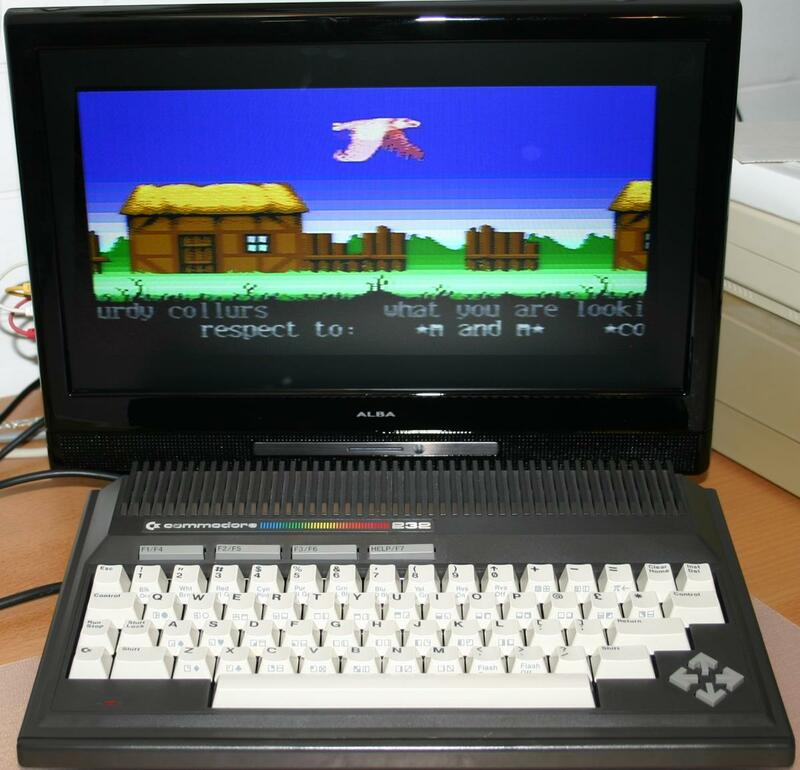 This would appear to fit with the Commodore canon as my understanding is that once Bil Herd’s team finished the original design of the TED64, it was handed off to Commodore Japan to complete the production models prior to the June 1984 release date. The latest date appearing on any of the IC’s is week 10, 1984 placing the likely production date of the machine in mid March 1984. My assumption is that these pre-production machines were distributed to selected service centres and software development teams in preparation for the release. Whether it was ever used in such a role is unclear, but I believe it was unlikely, for two reasons. First, repeated plugging in of connectors leaves small scratches on the plastic face of the female sockets. There is no visible signs of such on this machine. Second, and more telling, due to an assembly fault with the keyboard, the space bar was effectively stuck ‘down’ making the machine practically unusable. This would also seem to imply that the machine never underwent any burn-in testing as was customary for Commodore machines. So, I would surmise that shortly after manufacture in March 1984, it was shipped to Norway untested and has sat in it’s box pretty much untouched until I acquired it 27 years later. The PCB is exactly the same form factor as a Plus4 board. 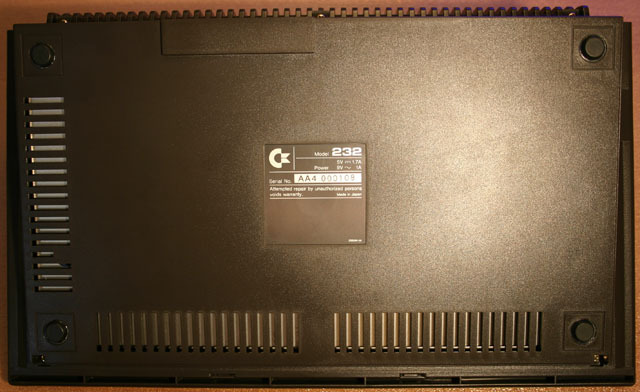 The Assy No is “250439” and the PCB number is “251728 Rev 3”, implying earlier versions existed. There is a typed paper serial number stuck on the bottom of the board with “000438” I think the serial number of 000438 is unlikely to represent the 232 board or more of them would have been found in the wild. 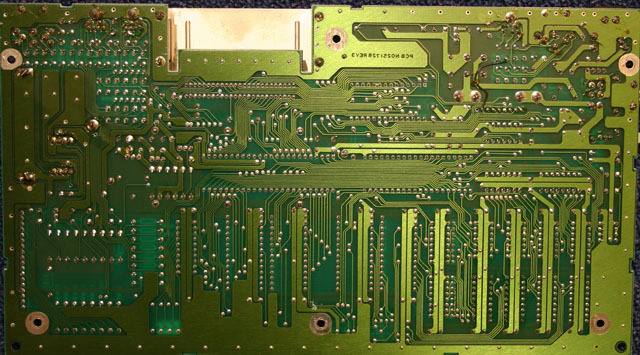 I am also lucky enough to own a pre-production C16 board made within a few weeks of this one that has an identical format label with the number “000361” leading me to speculate that this serial number could refer to all pre-production 264 series boards coming from Japan. Visually and layout wise the board closely resembles that of the Plus 4, but architecturally it is closer to that of the C16 / C116. Missing are the 6551/8551 ACAI RS232 chip and the additional 6529 to handle the user port, as is the user port itself. As the power supply is via the square 4 pin din, the power components are the same as the Plus 4, albeit spread out a little more. As there is no user port on the 232, the only purpose of the 9V AC supply is to power the cassette motor. Other than the user port, the other connectors are in exactly the same positions as they would have been found on a Plus 4. Also present on the board are sockets to take the option ROM’s. Although I haven’t tried it, I would assume that the option ROM’s from a plus 4 would work. However, I have no idea whether the built in software is aware of the possibility of only having 32k of RAM. Unlike the Plus 4 J8 and J9 do not exist, which control whether the cassette sense is implemented by P7 of the CPU or by D2 on locations $FD10 - $FD1F. The 232 uses the same pattern as the C116, where the cassette sense drives a buffer on the D2 line (U11 – 74LS125) enabled by the PLA on access to $FD1x addresses. There appears to be some hand reworking of the board to ensure that the cassette sense is pulled logic high if unconnected. This same reworking appears slightly differently on my pre production C16 board as well. 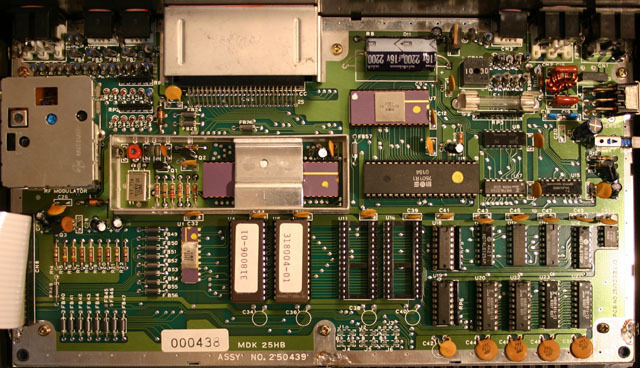 The biggest unique feature of this board which sets it apart from any of the other 264 machines is the implementation of the RAM subsystem. 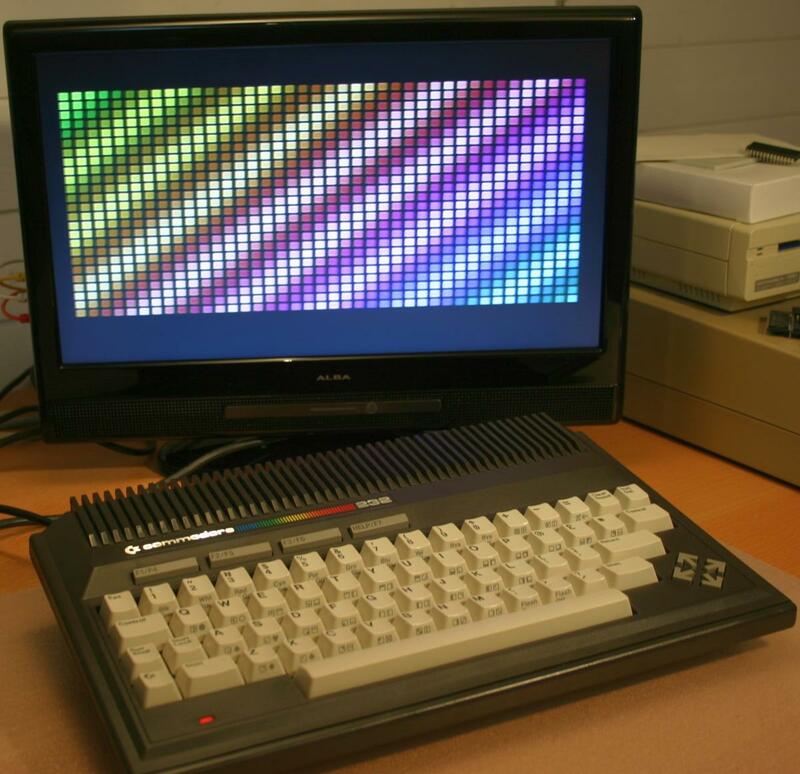 The original TED design was based around a 64k system implemented using 8 64kx1 bit DRAM’s, as you see in the Plus 4. This keeps the architecture relatively simple using one DRAM for each bit. 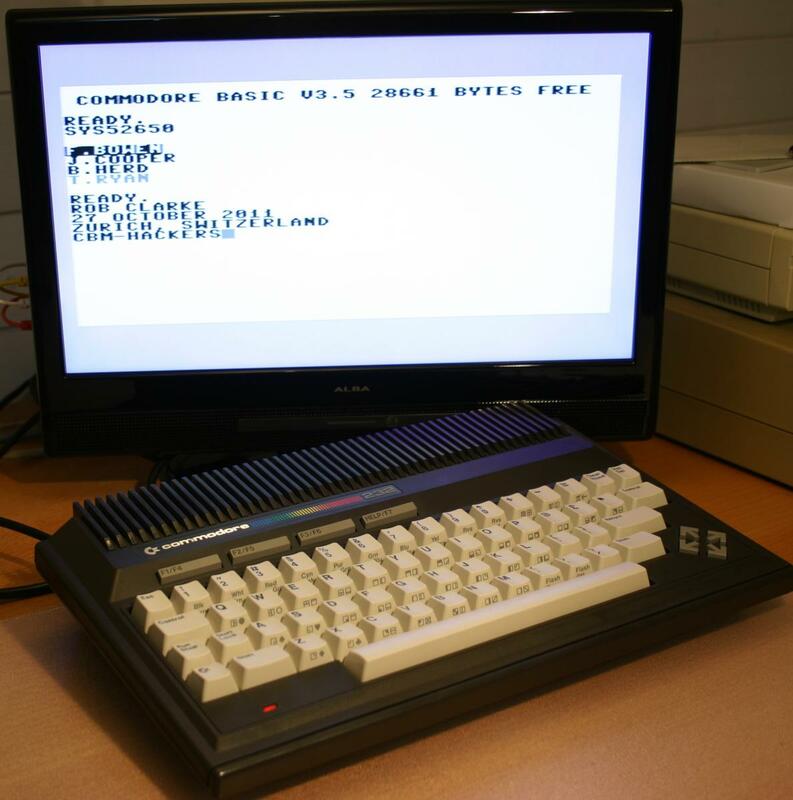 With the pressures of DRAM pricing, the C116 and C16 were implemented using 2 16kx4 bit DRAM’s which again is architecturally straightforward, with each DRAM fully implementing 4 bits each. I am no digital circuit expert but from my analysis of the board, A14 is used to latch the complementary outputs of the flipflop using /RAS which are then used in conjunction with the TED /CAS signal to drive /CAS on the DRAM’s, with two on each of the flipflop outputs. Powering up for the first time yielded a black screen. So, power but not much else. Replacing TED, CPU and PLA didn't help so tried a diagnostic kernal replacement. This gave me the first sign of life as it immediately indicated that there was an issue with bit 7 of the ram. Replaced both DRAM's for the lower 16k still didn't help so I used another diagnostic test which initialised TED and alternately write 00 and FF to the screen ram. This told me that every other byte had bit 7 stuck high. As it was every other byte I briefly wondered whether the bank switching was being done on A0 instead of A14, but this didn’t seem likely. Finally tracked it down to one of the multiplexers being flaky. Now the machine booted up OK, the keyboard didn't work, with it acting as though the space bar was stuck down. After dismantling the keyboard I found a manufacturing fault, where the end of the spring was wrapped under the conductive rubber pad, effectively shorting the key. Once I fixed this, we were up and running!!! 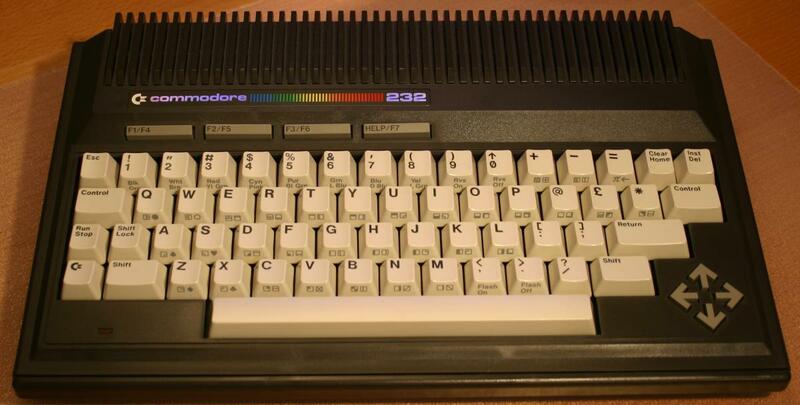 Remember, a Commodore is for life, not just for Christmas.